Simplicity at its best. This Jenn dining table is one of the studiest in the class of dining room furniture sets. This table is optimally designed for accommodating the classic 6 seater pattern. Offered in a chic Walnut finish, with a beige coloured table top, this table will easily blend in with the interiors of your dining room. With minimalistic design, this table is rather easy to clean and maintain. 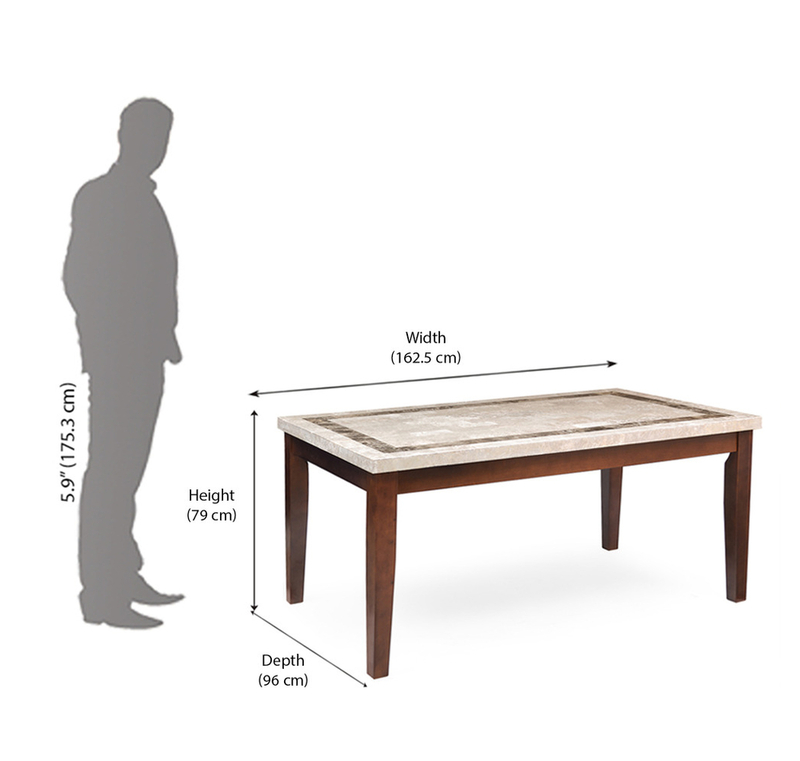 The standard dimensions of 162.5 cm x 79 cm makes this table ideal for any moderate sized dining area. So, wait no more, before buying this classy table with the quality standards of Nilkamal, available at an unbelievable price.